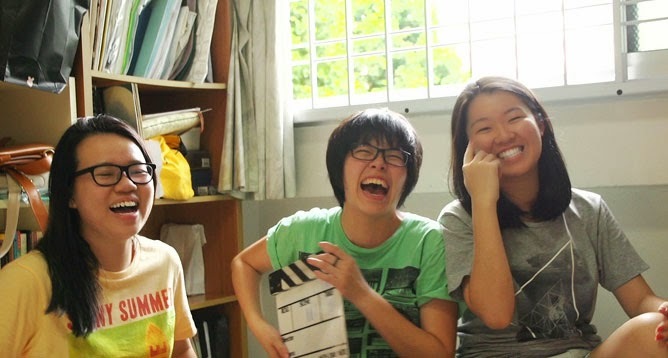 Contending for Best Documentary at the 6th Singapore Short Film Awards are Chinese Housekeeper, Destiny, Family Recipe, Homeand The Longest-Distance Relationship. Submitted by students from Wee Kim Wee School of Communication, National Technological University and Laselle, College of the Arts, the five nominated films cover a whole range of topics –marriage, food, family and religion. A man with hoarding tendencies gets passed questions on why he hoards, while his long suffering wife and daughter are asked about their relationship with him. Home might possibly have been a winning entry if more background on mental illness was covered, and if the five minutes long film could come to a conclusion on the reason(s) for the main character’s behavior. What could be further honed on for Home was the choice of interviewee as he shared his story; the male interviewee gave lackadaisical replies, which makes the viewer wonder if a better historian should have been used. Destiny employs superb storytelling technique and excellent cinematography in all of its 20 minutes. The central theme is on the plight of Vietnamese women seeking marriages with foreign men in Singapore, and revolves about three young Vietnamese women. Tugging at heartstrings, Destiny would have been even more interesting if it had carried through to show viewers what happens to the girls in the end. Chinese Housekeeper, or Cheena Manaivi, is about a Singaporean Chinese lady who has married an Indian man. Practicing Indian customs and speaking in the Tamil language, she transcends the stereotype of a Chinese wife. The 11 minute length documentary employed good storytelling and shedded some light on Indian culture. More research on the topic and perhaps deeper insight into the lives of Milevaganam family could possibly enhance the value of the film. In this documentary made in loving memory of the filmmaker's late mother, her daughter brings to life her mother’s old cooking notes with the recreation of dishes her mother used to make. More than food should have been used to work on bringing out nostalgia though, for documentaries about food (and family recipes) are more than aplenty nowadays. The Longest-Distance Relationship (TLDR) is aptly and quirkily named. The people behind the camera are interestingly also the ones in front of it, and the four girls attempt to understand religions (rather swiftly) in the 24 minutes long film. Questions are asked, answers are not exactly given – but that is obvious the initial intent of the team. TLDR has high interest value, a strong voice, great technical competency, and despite some lack of research on each of the religions it touched on, TLDR is convincing as a documentary on self-discovery. Destiny and The Longest-Distance Relationship have got to be strongest contenders of the lot for Best Documentary. Picking one would definitely be a subjective choice, and Destiny is a personal favourite for its topic, interviewees’ honesty as well as apparent efforts (travelling to Vietnam) to create the film.